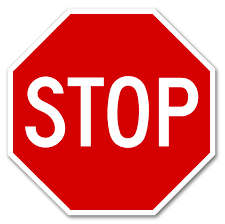 THE IMMIGRATION BLOG: Stop - Before Signing That Application! Stop - Before Signing That Application! Have you ever signed any legal documents without reading through them? You may feel like it is too time-consuming to go through the fine print or the terms are too technical to understand. Or maybe it is a take-it-or-leave-it contract that you cannot change its term. However, generally speaking, once a legal document is signed, its terms are binding on the parties. One may not use her failure to read before signing as an excuse to escape responsibilities under its terms. The same strict rule applies in immigration applications. In Matter of Valdez, the Board of Immigration Appeals held that an applicant’s signature on an immigration application creates a strong presumption that the signer knows and consents to the contents of the application. Unless there is fraud, deceit, or other wrongful acts by another person, not having read or understanding the application is no excuse. Mr. Valdez in the case was petitioned by a Catholic Church for a working visa in 1997, to work as a minister at the church. Three years later, Mr. Valdez and his wife were granted permanent resident status based on his status as a religious worker. However, he was never employed by the church. In 2011, when he applied for admission as a returning resident at the airport, he was stopped for questioning and later admitted that he never worked as a religious worker in the U.S. The couple were later charged with willful misrepresentation of a material fact by the Department of Homeland Security. In removal proceedings before the Immigration Judge, Mr. Valdez denied the accusation and claimed that neither he nor his wife was aware of the contents of the applications because, as Venezuelans, they did not speak or read English. The only thing he knew was his legal representative's promise that for $15,000 he and his wife could get permanent resident status “through the church”. The Immigration Judge held that even though the couple did not know English and no one ever translated the applications, they cannot use that as an excuse because it is reasonable to expect the applicants will take steps to understand the documents that they sign, or obtain a translation if necessary. Also, despite the fact that the couple reckoned the legal representative's promise to get them permanent residence was “too good to be true”, they never made any effort to find out how they could do that in any of their meetings with the representative before filing. The Board also used asylum regulations to support the concept that a person’s signature establishes a strong presumption that the signer understands and assents to the document that he or she signed. Unless there is evidence of fraud, coercion, or other wrongful acts, the Board held that failure to read an applicant is insufficient to get the signer off the hook. Immigration law is complicated. The applications are sometimes confusing and policies are changing constantly -- it is even difficult for immigration professionals to keep up with all the requirements. One should not completely rely on agents, consultants, notarios, etc. just because they speak their language. When in doubt, applicants should consult with an experienced immigration lawyer before filing. If the application was prepared by someone else, it is extremely important for applicants to review the contents carefully and obtain translation, if needed, before signing their names.